As a number of articles of this blog show, law has an impact on entrepreneurship. The example of wind energy proves that this influence can be both positive and negative. As a book published recently shows, law may also have a negative effect on entrepreneurship. In their book "les énergies renouvelables" published in their collection "le monde expliqué aux vieux" by the editor 10/18 in November 2014 in parnership with Claude Nahon from EDF, Nicolas Barre and Merlin Roubaud show that several legal reasons limited entrepreneurs' attraction for wind energy. The first one is the imprevisibility if the legal framework. France decided to subsidize the buying of wind electricity by distributors so that wind energy producers get induced to do so. The European court of justice however cancelled that subsidized price on 19 December 2013 and government still needs to set a new price. In the meantime, wind energy machines producers don't dare invest before the legal framework is set. The other reason why law limits entrepreneuship in the wind energy sector is a judiciary one. In order to settle a wind energy plant, one needs to get administrative approval. As the authors showed, more than one project out of two is then challenged in court by citizen or organisations opposed to the subsequent visual or sound pollution. Building a wind energy appliance in France may therefore take an average of 6 to 8 years whereas it would take 2 to 4 years in Germany. 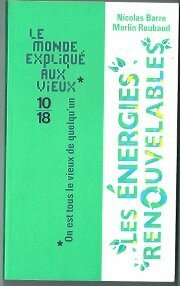 As a report "panorama des énergies renouvelables 2013" summarises, "the legal insecurity over the regulatory framework and the administrative complexity linked to the development of these business participate in limiting their growth". A very good example of the inducing and limiting effects of law on entrepreneurship. Interested in law and entrepreneurship? Register to the newsletter!